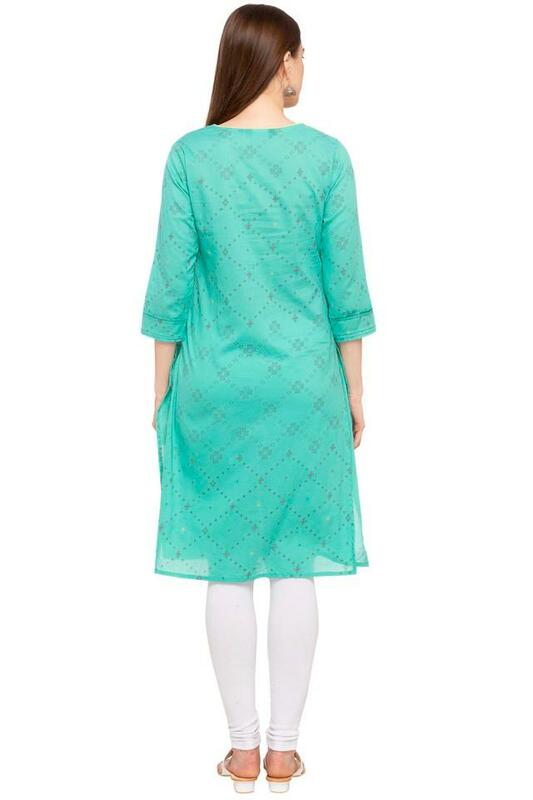 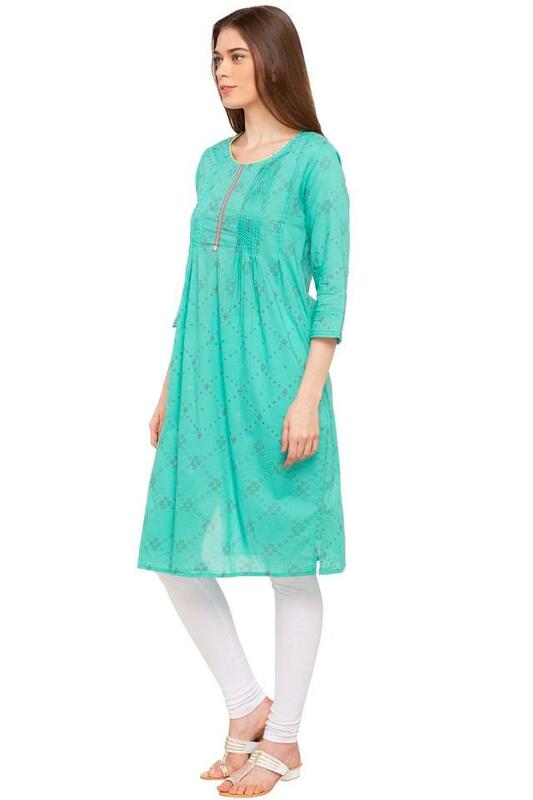 Get complimented for your sense of fashion by wearing this A-line kurta from the house of Imara. 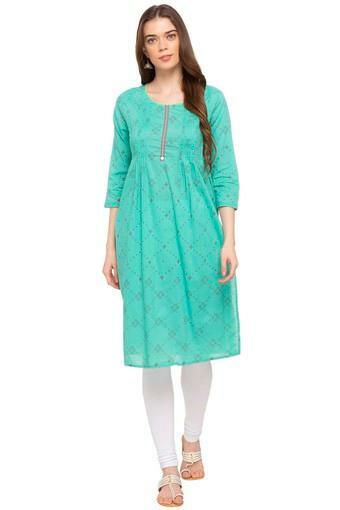 It will offer a soft touch against your skin owing to the use of a good quality fabric in its tailoring. In addition, it features a round neck, printed pattern and three quarter sleeves that makes it look stylish.